Kingfisher Bay Resort is a gateway to a world of amazing waves, culture, adventure and natural wonder. Let their helpful and smiling staff show you a truly memorable Mentawai experience in all its remarkable diversity and uniqueness. They give you the opportunity to experience a strikingly original part of the world unlike any other destination; picture-perfect waves, a completely unique and fascinating environment with a backdrop of idyllic palm fringed beaches and turquoise waters. As their name suggests, the resort is situated on the edge of an expansive bay, regularly frequented by stunning, acrobatic kingfisher birds, and a vast array of other wildlife including majestic sea eagles, large flying squirrels and pristine coral reefs teeming with sea life. The breathtaking waves along the Mentawai islands sets the stage for what has become a mecca for surfers around the world. From their dream location in front of Lance’s Left on the southern tip of Sipora island, fantasies of surfing waves so tantalizing and seemingly out of reach, can now become a reality. The island also caters for fishing, snorkeling and a wide range of activities on land. For the culturally curious, the local village provides a window into the lives of a community with an unfamiliar yet fascinating lifestyle. You can get to know your friendly neighbours and hosts by joining in a woodcarving or weaving lesson under a palm tree or get involved in the daily volleyball match in the village. If all this sounds like too much activity, feel free to relax in a shaded hammock or catch the breeze in their open-planned restaurant, where drinks and food are available. Meals are prepared using fresh fruits, vegetables, seafood and meats, cooked in a variety of styles including Western, Indonesian, Chinese and barbeques. They consider delicious and plentiful food an integral part of an enjoyable dining experience, so meals are served buffet style to ensure even the most ravenous appetites will be satisfied. • You can now check availability at Kingfisher Resort using the online reservation calendar. • Once we can double check your requested dates are open we will contact you and make plans to charge $500 USD of the booking total on the same card used to hold the reservation. Please note: Trips on this calendar are on a Monday to following Wednesday schedule (9 days/9 nights). Custom dates are also available, please inquire if you need alternate dates. • Once we can confirm the availability an additional deposit of $500 USD is required to confirm your booking. Deposits are non-refundable. • The final balance is due 60 days before the trip starts and is non-refundable. • Bookings made inside of 60 days require full payment within 7 days of confirmation. • All transfers from the airport to the Island of Kingfisher and back ($350 USD will be charged for the boat transfer Padang-Kingfisher-Padang). Kingfisher Resort is the ultimate destination to relax and switch off from the routines of everyday life. Whether you’re a barrel-hunting surfer looking for the best waves in Indonesia, or just an adventurous traveler wanting to enjoy paradise far away from the crowds, Kingfisher Resort is for you. Their three bungalows, built in traditional Mentawai style, are located on the palm-lined shores of the remote Sipora island, offering a private getaway with comfort, convenience and incredible waves all year round. All Kingfisher Resort guests need to fly to the city of Padang (PDG) the night before resort check in day. At Kingfisher they use the fast ferry (Mentawai Fast) for our transfers out to the island. Guests will be picked up at the airport by a Kingfisher staff member. They will then stay a night in a hotel in Padang which we can arrange. The following day Kingfisher will pick them up at the hotel and take them to the ferry. It is then a 3 hour ferry ride to the Mentawai islands, where they will meet you with the resort speedboat the rest of the way to Kingfisher. 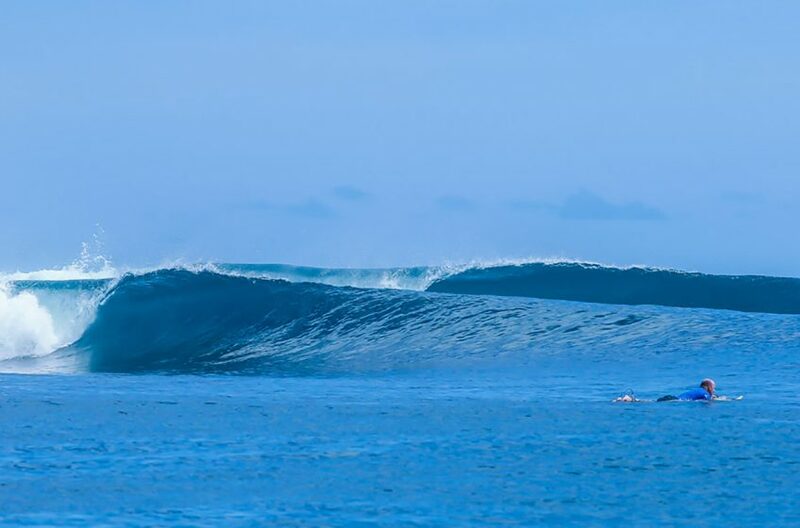 Their three Mentawai-style bungalows are located directly in front of Lance’s Left, offering close-up views of this spectacular wave. The design of the bungalows combines the best of the local look and feel with the rigour and comfort that most Western travellers enjoy. The result is an elegant yet strikingly exotic experience. The Resort is designed to accommodate a maximum of 10 guests. Limiting the number of guests allows them to take care in guaranteeing each guest a luxurious and comfortable stay. The private experience also ensures that the surf never gets too crowded. • AC and fans designed for the ultimate comfort. • Electrical outlets to plug all devices you may need (220 V). These are Indonesian plugs (same as European). • Kettle, tea and coffee. • Bath Towels are given at the beginning of each trip. • All beds are provided with Mosquito nets. • Each Bungalow has maximum privacy thanks to the landscape and distance from each other. • Big spacious balcony with very comfortable chairs and hammocks to enjoy the breathtaking views of the beach and Lances Left. • Each bathroom has a sink, toilet, mirror, shower, shampoo, soap and is completely tiled. • Fully furnished living room area inside the bungalow. In line with the Mentawai theme, the restaurant is the centerpiece of the resort. From a spacious veranda you can take in the awe-inspiring, panoramic view of Lance’s Left and the adjacent bay. The open terrace is designed to take full advantage of natural light and to catch the ocean’s breeze even during the hottest times of the year. Here they have a big screen projector, a pool table, free wifi 24/7, and the coldest beers in the Mentawais. Their in-house chef prepares daily meals using only the tastiest local ingredients. The tranquil atmosphere of our restaurant is the best place to relax and feast on a variety of foods while enjoying the amazing view of the island and its wonderful surroundings. They have a selection of cold beers available at the resort, however they are unable to provide hard liquor due to local regulations. Guests are more than welcome to bring duty free purchased wine and spirits for consumption at the resort. At Kingfisher Resort they offer a wide range of activities, with an emphasis on utilizing the natural resources and cultural aspects unique to the Mentawai Islands. Your time at Kingfisher is your own, whether you’re surfing, snorkeling, fishing, lounging, visiting local villages, or participating in one of our unique cultural tours – there is something for everyone. For the easy-going angler, the tropical waters of Sipora offers brillant conditions for fishing. Most of the surf breaks around the island are accessed via boat, so in between surf sessions our guests often drop a line and catch something for dinner. In the evenings especially, they trawl on the way home using two lures behind the boat to catch Spanish Mackerel, Barracuda, Tuna, Wahoo, different kinds of Trevalo and other exotic fish. Their team provides the boat and all fishing equipment, though these are mostly basic, so serious fishermen are encouraged to bring their own gear. There is a wide choice of fantastic snorkeling sites with warm, crystal clear water close to the resort. Directly in front of the resort is a key hole offering amazing sites of live coral and teeming wild life. Alternatively, you can take a short bike or boat ride to discover a diverse collection of hard and soft corals which provide a home and feeding ground for schools of vibrant reef fish, shellfish, anemones, giant clams and turtles. Kingfisher Resort is situated on Sipora island, home to various wild jungle tracks. Go for a trek through the lush Mentawai greenery or take a bike ride and go discover your own private beach. A jungle trek will take you through the local villages, the closest one being about 5km from the resort. There you can immerse yourself in a completely unique culture, or test your skills in the volley ball court – the local kids are always keen for a game. The best way to start your morning is with a yoga session to get your body ready for a day in the surf. And when you get tired from surfing perfect waves, you can enjoy a Thai massage to relax those muscles. They have a professionally qualified yoga instructor and masseuse at Kingfisher to provide lessons and classes. Under the guidance of talented local Mentawaian wood carvers and weavers, you can design and create your own piece of artwork. Make a unique souvenir for friends or family whilst getting to know the people who call Sipora Island their home. *Not included in package. For those who like to stay connected with the outside world, they have a digital area with free high-speed satellite internet, 24/7 wifi, a big screen projector, DVD player and a sound station. In the evenings after dinner, they like to screen the daily selection of photos from guests’ surf sessions while everyone enjoys a Bintang beer. they also have a pool table for entertainment where some big tournaments go down, normally when the waves are on the small side. The climate in the Mentawais is hot and humid with rainfall occurring all year. 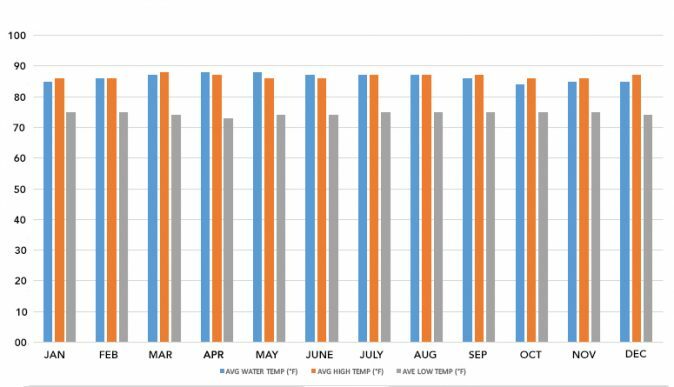 Seasons vary from year to year; El Nino conditions typically deliver Southerly trade winds during the Southern hemisphere winter time, while La Nina conditions typically produce more Northerly winds. The resort is located in an extremely wave-rich region with 10 different breaks, all accessible within 10 minutes via boat. At your doorstep lies the super consistent and fun Lance’s Left, and just around the corner you’ll find the world-renowned gem, Lance’s Right (Hollow Trees). Whatever direction the wind or swell, there is always sizable, offshore waves to be had, and their speedboat is on standby to find you the best waves on any given day.. With such an extensive selection to choose from – long lefts and rights, barrel perfection, heavy slabs and fun beach breaks – their location at Kingfisher Resort caters for all levels and appetites of surfing. • Surfers looking for fun sized waves in the 3-4 feet range. • Very light winds and great weather creating those glassy mentawai days you always see in the magazines. • Suitable for surfers who are not particularly looking for a stand up barrel but rather fun perfect waves with just you and your mates. • Southern Indian Ocean starts to kick into gear. • Wind is still light and clean ground swell becomes a regular occurance. • Crowds are few at the beginning of the month and increases towards the tail end. • One of our favorite months to be on the island. • Considered a prime month in the Mentawais. 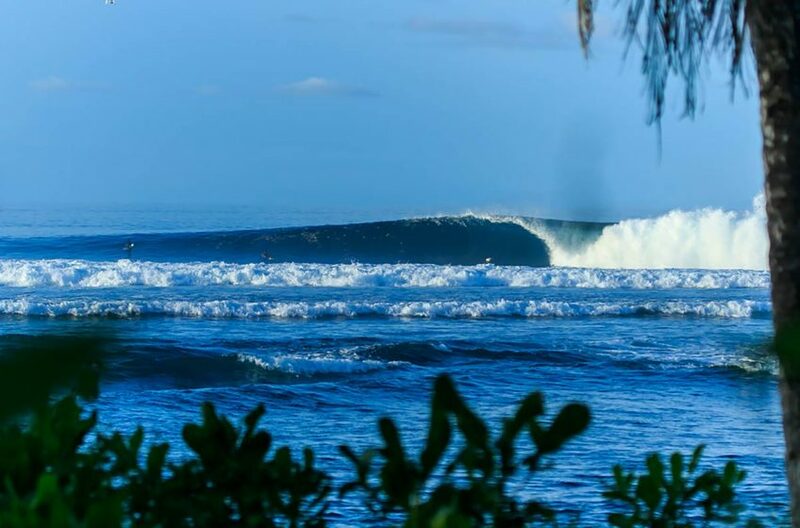 • Surfline’s pick of the month for best surf destination in the world. • By this time the Indian Ocean is a wave producing machine delivering a new swell every 3-5 days. • Conditions are characterised by light and variable winds producing amazing waves at Lances Left and Lances Right (Hollow Trees). • Some of the best waves of the year are normally encountered in the month of May. • Peak season in Mentawais so June and July are normally the busiest, however a crowded day out here consists of 20-30 guys and there are more than enough waves to go around. • These months are a bit windier, but they are strategically located in an area where we can find offshore waves everyday. • Surfers looking for big barrels prefer June and July. • The south east trade wind becomes predominent during this month which is perfect for the lefts. • Guests visiting this month normally enjoy ideal conditions at the wave right on their doorstep, Lances Left. 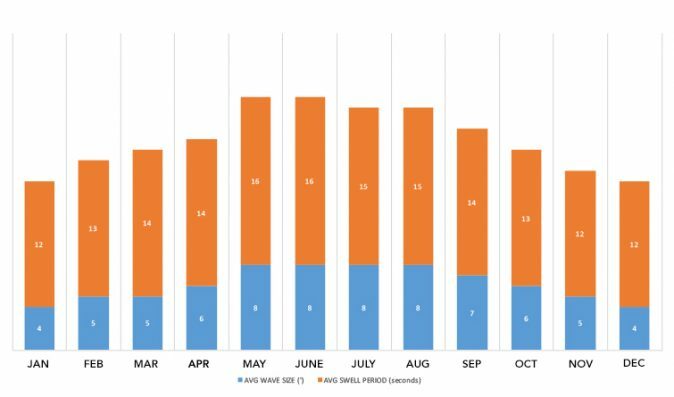 • High season in the Mentawais due to the amount of swell this month gets but is less crowded than June and July. • Starting to enter the tail end of the season. • Crowds are starting to thin out. • Thunderstorm activity is starting to slowly increase – which is welcomed at Kingfisher. After a thunderstorm there is normally not a breath of wind creating periods of dreamy glassy conditions. 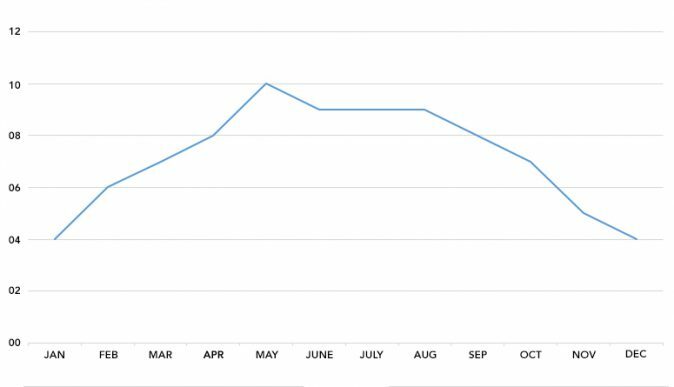 • Trade winds decrease and this month usually has good days at all the waves in our area due to the windless periods after thunderstorms. 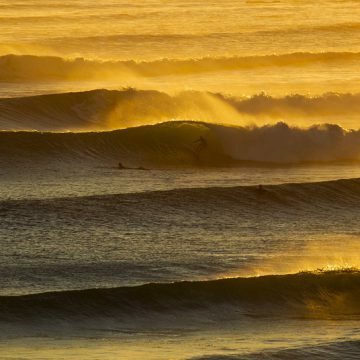 • This month usually sees the last couple of proper swells of the year pass through. • Increasing thunderstorm activity as they enter the rainy season. • October has some phenominal days each year, however they are fewer and further apart than the high season months. • They advise our guests visiting in this month to stay a little longer increasing their chances to score those amazing days with just a handfull of guys out. • Minimal crowds during this month. • The Indian Ocean wave producing machine comes to a halt. • Waves are in the fun 3 feet range. • Perfect for surfers looking to get away from the crowds at home and come surf extremely fun waves in warm water.